Women are always seeking out new sources of inspiration when it comes to discovering beauty tips and trends. As part of the POPSUGAR Insights Q2 2014 beauty study, we asked women to share which source of beauty information they consider to be the most inspirational. 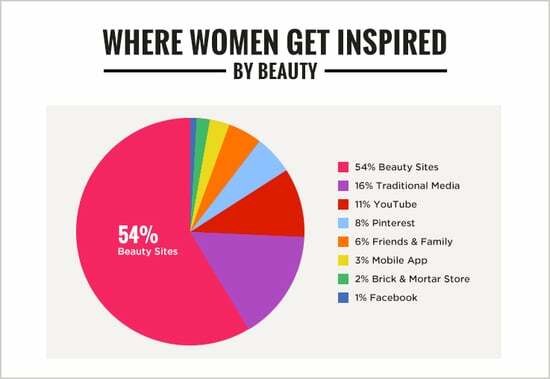 Overall, 54% of women consider beauty websites and blogs to be their most inspirational source of beauty content. Sixteen percent of women consider traditional media sources to be their source of inspiration, followed by YouTube (11%) and Pinterest (8%). Friends and family are considered to be less inspirational than social media and content sites.